Four years after the government launched a £5,000 grant scheme for buyers of the most eco-friendly cars the battery-powered Nissan Leaf is the number one green car on the road. Analysis of DVLA data by the RAC Foundation shows that at the end of 2014 there were 6,838 Nissan Leafs licensed in the UK. The Leaf became available to buy under the Plug-in Car Grant scheme soon after it started on 1 January 2011. The Mitsubishi Outlander Plug-in Hybrid – which only went on sale in 2014 – is the second most common model with 5,273 cars licensed. Third is the BMW i3 (1,534 vehicles licensed). This is the list of the top-20 vehicles on the road – as of the end of 2014 – which are currently available under the Plug-in Car Grant scheme (worth up to £5,000 per vehicle) and the Plug-in Van Grant scheme (worth up to £8,000 per vehicle). 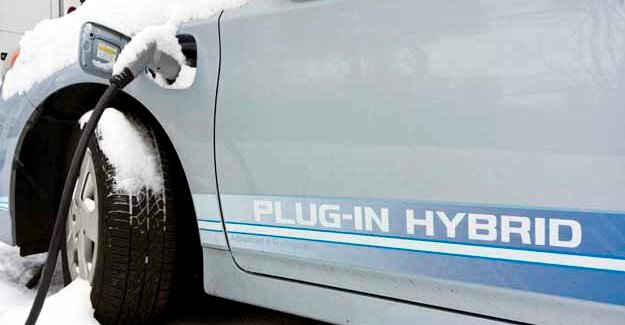 Note: As of today there are 35 models eligible for the plug-in car and van schemes. Some of these will have come on the market since the end of 2014 when the licensing data cited above was published. The full list is in notes to editors. Some of the vehicles above might have been bought without the grant. Others might be licensed to manufacturers and dealers rather than customers. To put these numbers in perspective, there are currently 30.5m cars licensed in the UK of which 19m are petrol and 11.2m are diesel. Therefore those vehicles licensed and eligible for the plug-in car and van grants account for around 0.06% of the total. “After a slower start than ministers hoped for sales of the greenest cars are accelerating fast, but it is illuminating to see which manufacturers are benefitting. “These numbers tell at least two stories. One is the steady sales resilience of the Nissan Leaf which has been available under the government’s grant scheme for four years. The other is the success of the Mitsubishi Outlander of which about 5,000 were sold in its first 12 months on the market. “We have always argued that sales of ultra-low carbon vehicles will really take off when they are priced as attractively as similar petrol and diesel models. This seems to be what has happened with the Outlander which is also attractive because of the low company car tax it attracts. “What the numbers don’t reveal is the profitability of ultra-green cars for manufacturers or how hard each firm is pushing their products. “But overall the market is growing rapidly. The latest industry figures show one in 86 cars sold in the UK in the first quarter of 2015 was a plug-in vehicle of some kind. This is the full list of vehicles currently available under the government’s plug-in car and van grant schemes and how many were licensed as of the end of 2014 (the last figures available). Some of these will have come on the market since the end of 2014 when the licensing data cited was published.